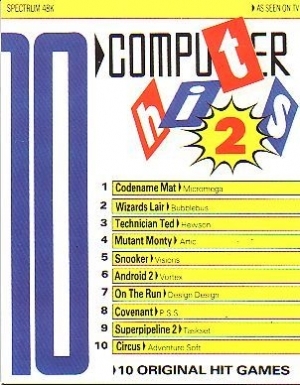 1) Codename Mat.2) Wizard's Lair. 3) Technical Ted. 4) Mutant Monty. 5) Snooker. 6) Android 2. 7) On The Run. 8) Covenant. 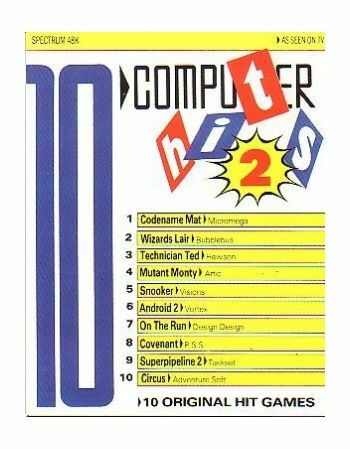 9) Superpipeline 2. 10) Circus. Instruction sheets included. OPERATES ON SPECTRUM 48k.